AudioActiv asked me if I was interested in testing their Vault series waterproof speaker case and sent me one for the Soundlink Mini. I was looking forward to trying it out, because I use the Soundlink Mini quite regularly also near the pool when swimming, so it could be nice to either have the speaker finally protected somehow against splashes, or even take it directly into the water for an even better and more immersive sound experience. I sometimes already tried taking the original Jambox with me into the pool and placed it on the mattress right beside me. With the passive radiator facing the mattress directly bass could be reinforced to some more impressive levels, the mattress acting like an additional resonator. But I was always afraid the Jambox (not even worth half of the asked 199 by then) could fall into the water, when I wasn't careful enough, therefore I haven't dared to try such experiments with the Soundlink Mini yet. Meanwhile another unexptected source of danger is my dear little son who seems to be even more interested in my speakers than I am. 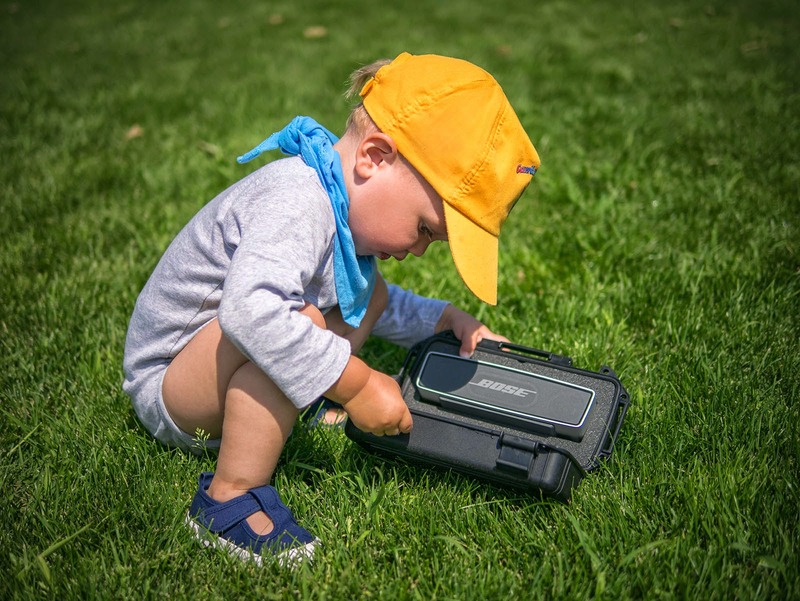 But he is still pretty clumsy and tends to drop them sometimes and I am pretty sure he would also like to test how the Soundlink Mini might sound under water. For that reason I thought the AudioActiv case would be a welcome aid to keep the gadgets alive, without the need of forbidding him to use them. The cases from AudioActiv are available in various sizes and it seems they are available in either black or white, mine came in black, although for outdoor use I would definitely choose the white one. The biggest model should be able to accomodate the BIG Jambox, and it has also the right openings to fit a Soundlink II or III beside some place for the mobile phone etc. 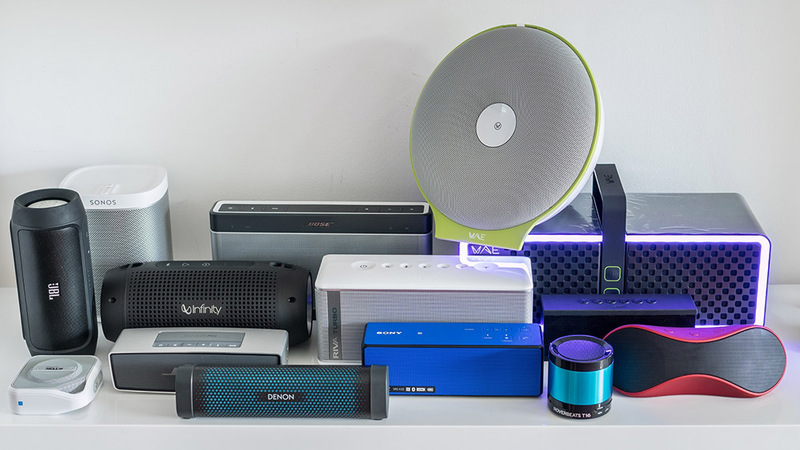 Before ordering your case, you should make sure to select that one which fits your speaker. 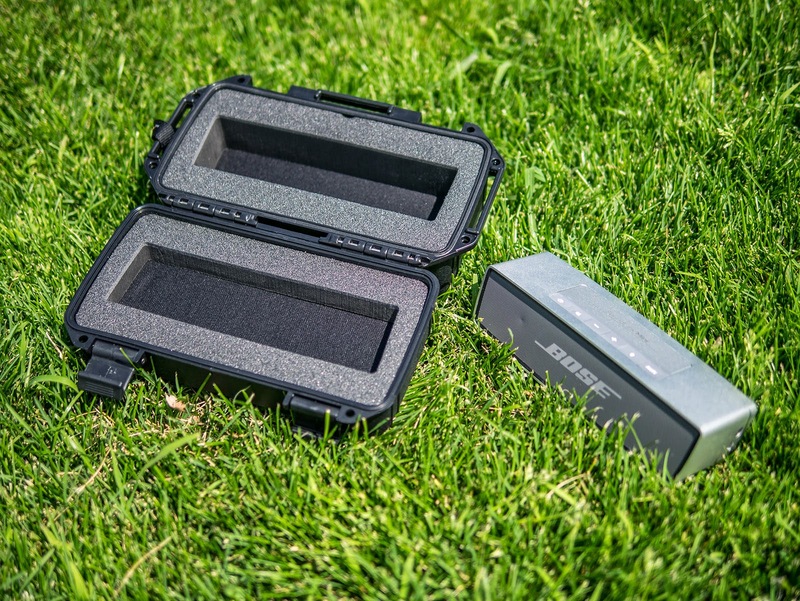 Although the cases for the Soundlink Mini and Jambox are pretty much equal, the inlays inside are prepared to be used with the correspondent speaker. The inlays are made of a conventional foam material and are very accurately fitting. I managed to fit the Sony SRS-X2 inside the case with some force, but the bigger SRS-X3 wouldn't fit before cutting the holes within the foam inlays bigger. The build quality of the case gives a pretty tough impression. 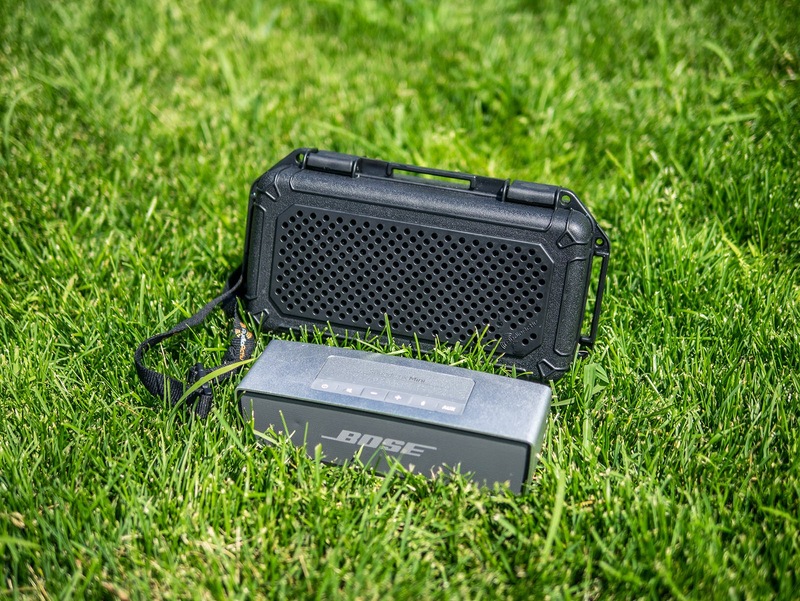 The interior is padded so that a Soundlink Mini should be pretty safe inside even when dropped. There are holes at the front and the back of the case, where I first thought they would allow water to enter, but behind the holes you can see a thin membrane when looking close. This membrane should be acoustically transparent and is called AudioClear by AudioActiv. Let's see later if this membrane compromises audio quality in some way, or if it is rather negligible. The AudioActiv cases are equipped with different lugs at the sides and at the top, to either use them with some strap or maybe even allow tethering to other objects or whatever. In order to use the case there is not much to do, just open the case as you would do with a suitcase, place your speaker inside and close the case again. For testing if it is waterproof according to the included manual you should submerge it under water for 20 seconds and look inside afterwards if everything is still dry. The AudioActiv Vault cases do float and they are waterproof to some degree, but shouldn't be submerged deeper than 30cm. 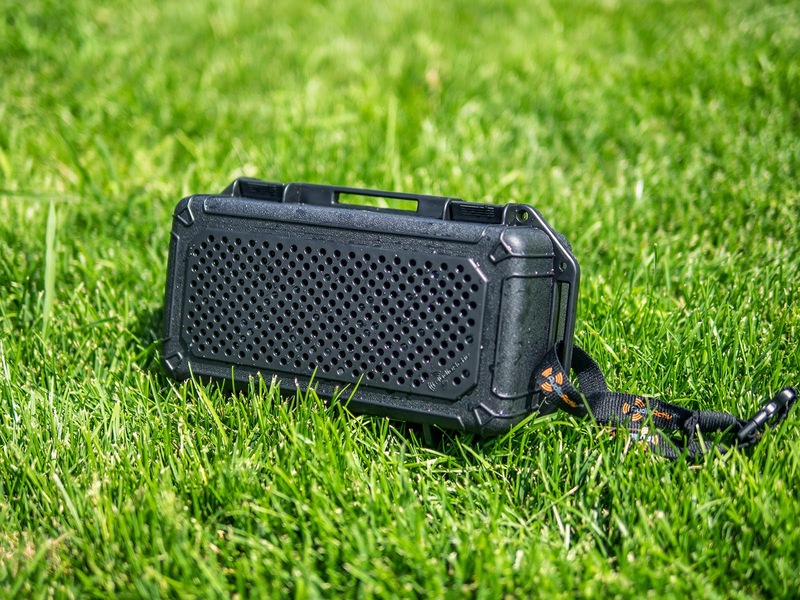 The case is not meant for keeping the speaker inside the water permanently, but rather to keep the speaker protected in case it falls inside or gets some unwanted splashes. I tested the case with the Soundlink Mini inside and let it float around in the pool for several minutes and the speaker remained completely dry. Later I put a cheap no-name speaker inside that I bought especially for my son and kept it inside for the rest of the day. 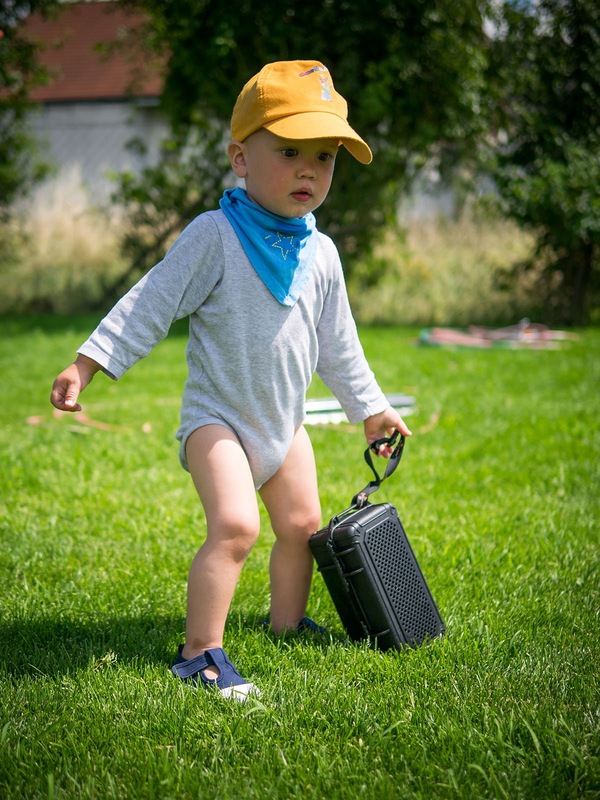 My son was playing with the case, taking it into his baby-pool, splashing it with the hosepipe etc, finally when I took out the speaker afterwards it was quite humid, so be careful to use the case advisedly. I think that applying some kind of vaseline and lube the rubber seal might also help making the case tighter. I remember when I was trying an underwater camera-case for the first time, there was a similar oily medium included in order to apply it to the seals. 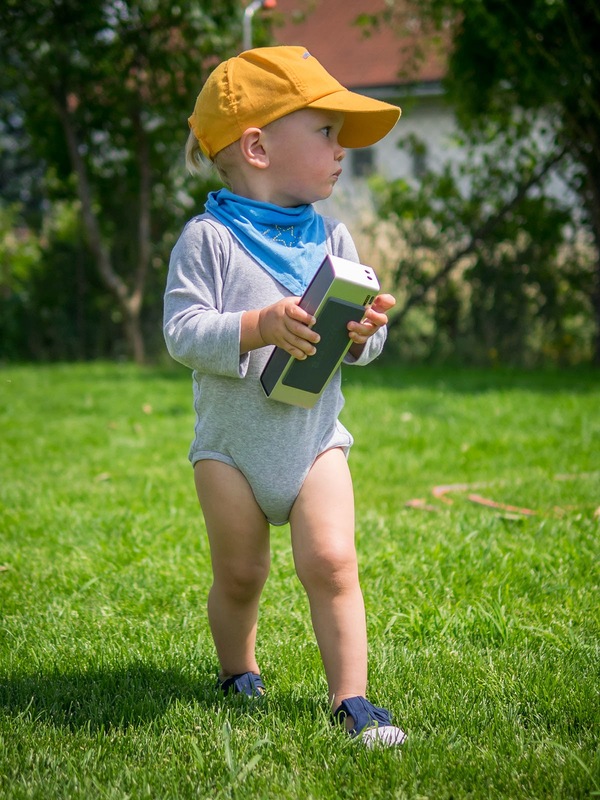 You can see in the following video how my son already took possession of the speaker. Thanks to the case, I could let him play the whole day with it without fear he might damage something. To tell the truth, there is indeed quite a difference in sound depending if the speaker is inside the case or not. 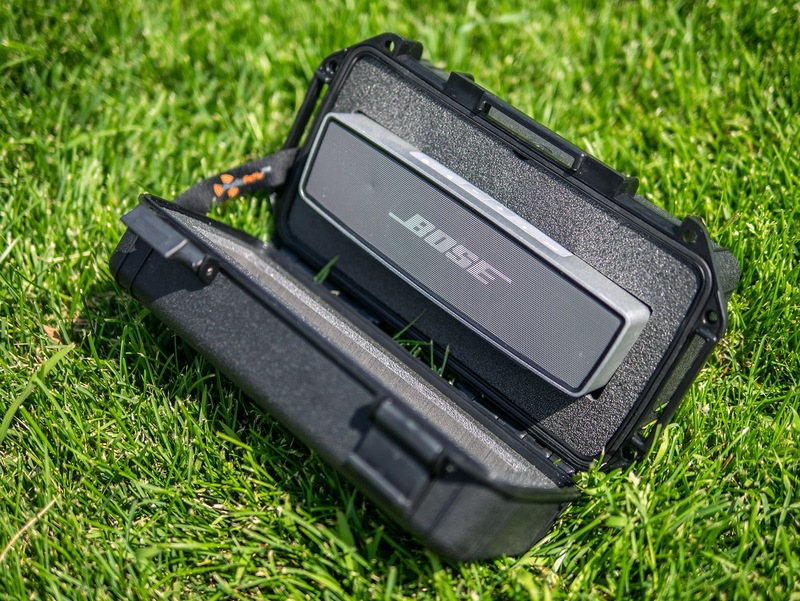 Unfortunately the Bose Soundlink Mini doesn't seem to be a good match for the AudioActiv case soundwise. It is already pretty muffled and directional, but when inside the case the sound suffers even more, becoming really dull and mid-pronounced. As there is some additional distance added from the speaker grille to the case-openings, the sound seems to become even more focused and makes the speaker hardly audible from the side, except if some serious treble boost is added. 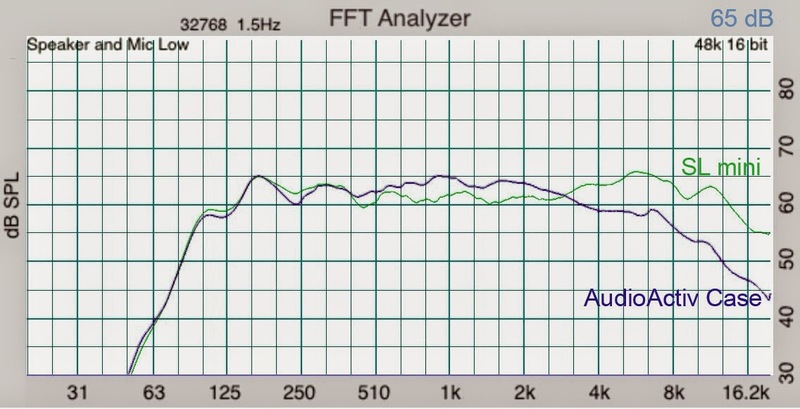 I tried measuring the sound of the Soundlink Mini inside the case and outside, and as you can see from the frequency response graph, the treble already starts being compromised above 3kHz when played from inside and remains entirely below the original curve with a treble-decrease up to -10dB. I even tried other speakers inside the case that would still fit into the original Soundlink Mini inlays. The Sony SRS-X2 for example sounded considerably more acceptable as it has very clear treble to begin with. It didn't vibrate that much inside the case either, which made the overall sound more pleasant listening to, while the Soundlink Mini sounded too heavy and buzzing when inside. Also the JBL Flip sounded nice and within the case suddenly didn't give such a tinny impression anymore, probably because the capacity of the case seemed to add a little bit of resonance at lower frequencies. I would have loved to try the Sony SRS-X3 with the case too, as it is my favorite portable speaker right now, but didn't want to damage the case by cutting the original inlays. I am quite sure the SRS-X3 would sound pretty good. By enabling the additional "sound"-mode it should sound clear enough to make it sound still acceptable from inside. Apart from the obvious change in sound, I didn't notice any side-effects on Bluetooth reach etc. The speakers still had a similar reception when inside the case. But you have to bear in mind, that when intended to be used with the case, the speaker cannot be operated that easily anymore. You have to turn on the speaker first, do Bluetooth pairing, set the volume on the speaker to a high enough level, so that you can still lower it from your streaming device and then close the case and forget about it. If you want to change some setting on the speaker later, you must open the case each time. I think AudioActiv made some pretty useful and unique cases if one necessarily needs the protection for his speaker. I am only afraid that the Soundlink Mini might not be the best choice to be used with the case, as the sound will change too much for the worse. But the AudioActiv cases should sound more acceptable with other speakers that have an overall clearer and less bommy sound. I don't like the added bulk and would have preferred a smaller case, better customized to the size of each speaker. But this would probably increase the price even more. I am not sure that many are willing to spend about 60$ (or even more for the larger models) for a simple speaker-case. I would also welcome additional and exchangeable inlays to be bought separately. One could buy a single case and just add the needed inlays, in order to make the same case usable with different speakers. Apart from that there is not much to complain about. Let's just hope AudioActiv will extend sale of their cases to the European market as well! I own both and concur. On the other hand it is nice to be able to put my Soundlink in this bomb proof case and just not worry about it at the pool, even with the degraded sound profile!